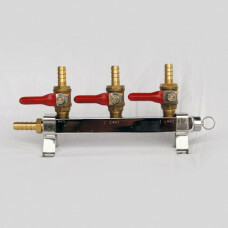 A three-way distributor for splitting your CO2 gas line into three outputs, each with its own shut-off valve. All valves have an inbuilt check valve mechanism to prevent back flow. Comes with a 60PSI pressure relief value. Made from brass and stainless steel 304. 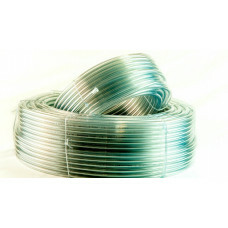 Commercial grade tubing for beer or gas line. A CO2 Gas Cylinder Holder for securing one cylinder. Simply mount onto the wall or similar (screws not included) and use the chain to wrap around the cylinder. This is a one-way valve that is inserted into your gas line to stop liquid back-flowing to your CO2 regulator, saving your regulator from damage. It handles 8mm hose using push-fit technology.